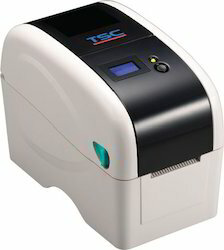 We are providing our esteemed clients with excellent quality of TSC Barcode Printers. The offered range is manufactured using high-grade raw material and latest technology. 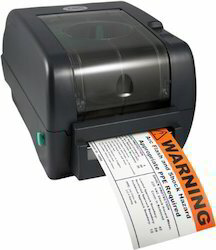 The offered printers are available in different sizes, designs and other related specifications, in order to meet variegated expectations of our valuable customers. Our provided range is rigorously tested by the team of our professionals. 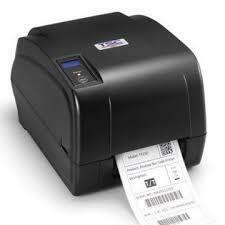 Furthermore, our clients can avail these printers from us at market leading prices. - High quality double-walled clamshell design. - 127mm 5" OD media capacity. - Up to 127mm 5IPS print speed. 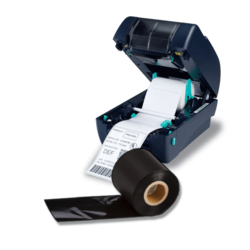 - Available in 203 dpi & 300 dpi resoluations. - Micro SD flash memory expension upto 4GB. - Serial & USB 2.0 connectivity. - Upto 177.8mm (7 IPS print speed). - 4 MB flash memory & 8 MB SDRAM memory. - SD flash memory expension upto 4 GB. - User friendly clamshell design. 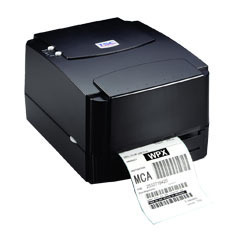 - Label gap sensor & full range adjustable black mark sensor. - Main board intergated with internal ethernet (factory option). - Resolution 300 dpi with upto 5 IPS print speed. - 4 MB flash memory & 8MB SDRAM memory. - Main board integrated with internal ethernet (factory option). - 200 MHz, 32- bit RISC processor with 8 MB SDRAM, 4 MB flash memory. - Internally scallable true type fonts. - Dual motor gear driven design. - 300 meter ribbon supply on a 1"core (coated side out).